When asked to describe their hair, there’s no doubt the majority of women would do so in a negative way. Whether that’s using words such as frizzy, coarse, unmanageable, greasy, dry, dull, limp or simply a nightmare to style, we all suffer with daily hair issues and probably all wish we had a stylist at arms length to rectify them at all times. Way before I was into makeup I became somewhat obsessed with the condition of my hair; naturally it’s a very dull mousy brown, frizzy, slightly curly and incredibly thin, so I spent the best part of the last two decades trying to make it look like the styles depicted in the pages of my magazines. I can recall the first incarnations of hair straighteners, investing in diffusers and even taking out portable styling tools in my handbag as the heat settings didn’t set the style for longer than a couple of hours; I’ve dyed it every colour imaginable, cut it, grown it, stuck extensions to it and even spent a month with a fake and badly colour-matched bun pinned to my crown while I grew out a rather disastrous mistake. Now in my 33rd year (although I’ve learned to love what I have,) I know that great hair is sometimes just a snip, dye job or decent pair of hair straighteners away – because it’s not what you have, it’s what you do with it that counts. One brand that really understands the struggle us women face on a daily basis is Remington. They know the vast majority of us will describe our barnets negatively, but they want to change that and provide the tools we need to turn our hair woes to hair WOAHS! (Geddit? Genius!) Using their amazing range of Keratin Radiance styling tools to help create the hair style we desire, they want to help us all feel great about our hair again – without the need for even a snip. The Remington Keratin Radiance collection is a revolutionary range of styling tools that all feature an advanced ceramic coating that’s infused with Keratin and Macadamia oils for smooth, radiant and healthy looking hair. Harnessing the very latest in hair care technology, these ground-breaking tools combine this coating (which is transferred to the surface of hair as you style) with protective technology that ensures you can be kinder to your tresses without compromising on style. 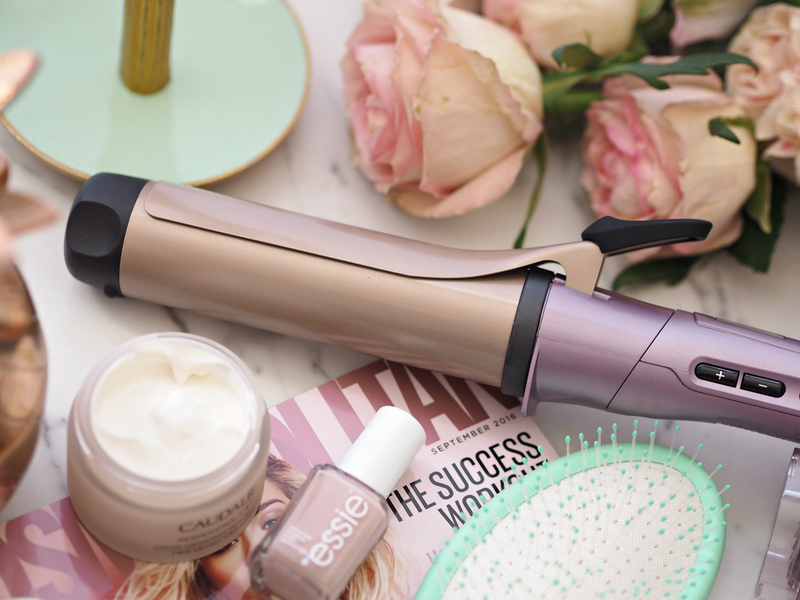 With a dryer, straightener, curling wand, curling tong and styling brush to choose from, this technology really does help turn your hair dilemmas into a thing of the past. 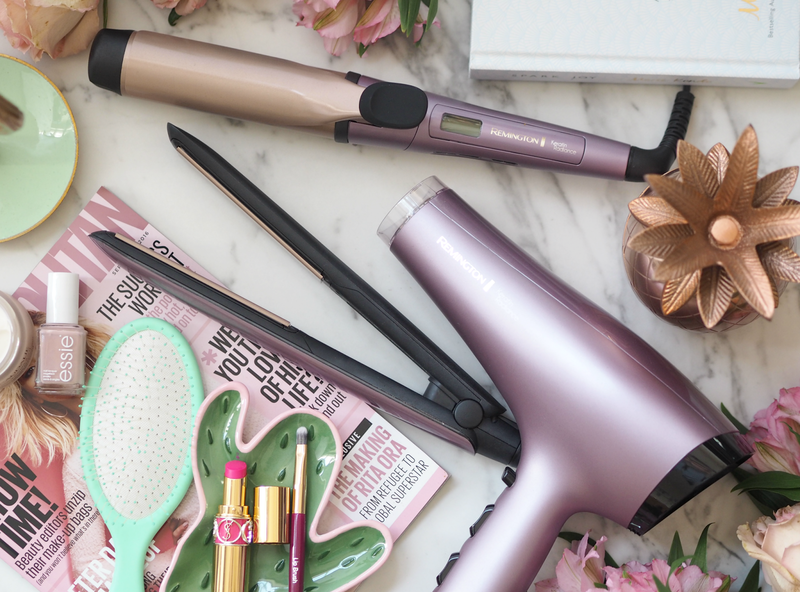 So lets delve a little deeper into the products themselves… I’ve been a slave to my hair straighteners since the late 90’s, so I’ve tried all manner of innovations over the years. Often they’re too hot, too scratchy or leave my hair looking dull – but the Remington Keratin Radiance Straightener (£89.99) has been an absolute pleasure to use from the moment I first picked it up. It glides through hair to help straighten and control frizz, without removing all movement, and leaves my hair instantly super shiny; I’ve even been using it to create loose waves and curls on second day hair, as it doesn’t leave strands looking parched of moisture. I’ve ditched everything else in favour of this over the last six weeks (even tools twice the price,) and I can’t see me switching it out for anything else any time soon. It’s been with me all over the world already and has become a safety blanket I know I can rely on. 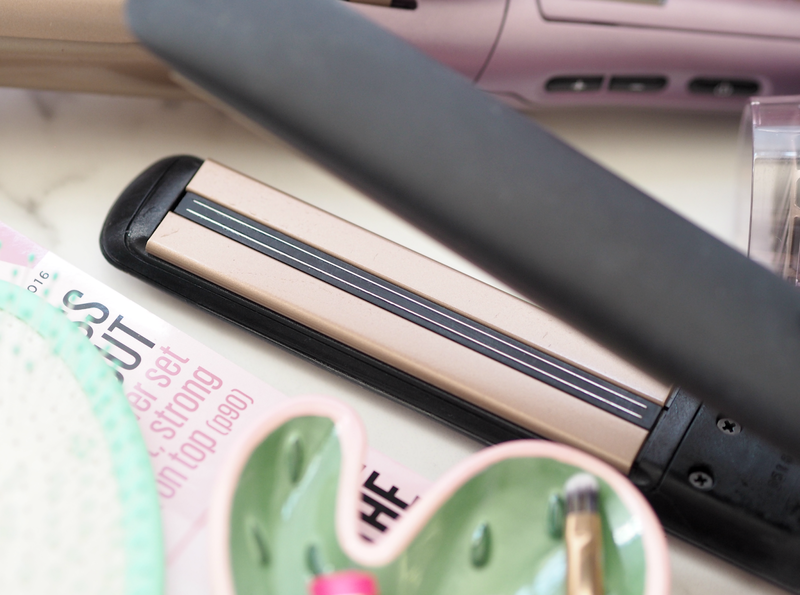 If curling is more your thing, then the Keratin Radiance Tong (£29.99) provides all the protection, shine and styling benefit of the straightener, but with full and bouncy curls in addition. The barrel is the perfect size for creating relaxed movement and on-trend waves, no matter your hair length, while the heat settings put you in control and ensure you don’t over-style your tresses. Even the Keratin Radiance Dryer (£49.99) is a pleasure to use, helping to gently dry hair without causing frizz or flyaways; it provides a great start to my regime and cuts down the amount of styling time required, as the enriched grille transfers micro conditioners onto hair as it dries. Who knew adding a little oomph to your ‘do and morning routine was all we needed to change those woes into WOAH-I-Look-Awesome-s! money,) as well as lots of tips on how to turn your hair frown upside down. I adore the concept of this campaign and think it will resonate with every single one of you. Who hasn’t woken up, looked in the middle and wondered what on earth to do with the mop on top of your head? 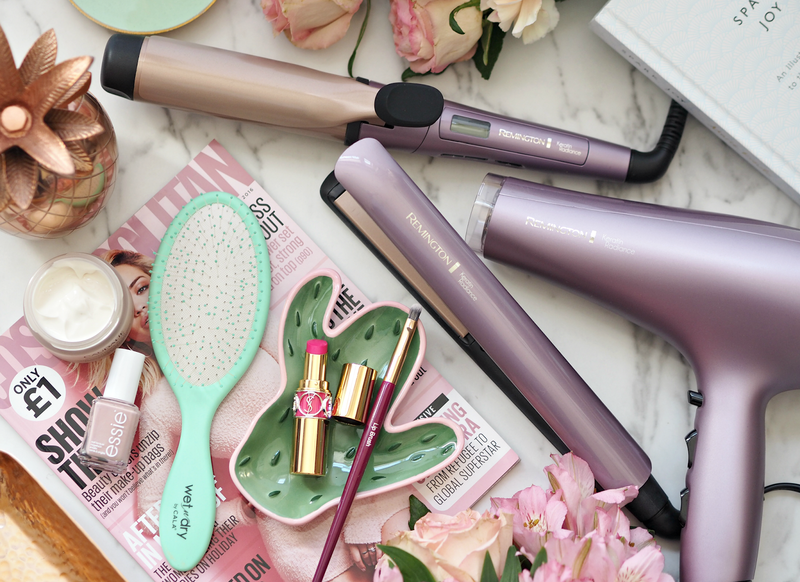 Because we want to spread a little love even further afield and help turn your hair woes into WOAHs too, Remington have kindly offered five of their Keratin Radiance Styling tools to five of my lucky readers – which one you choose is up to you. 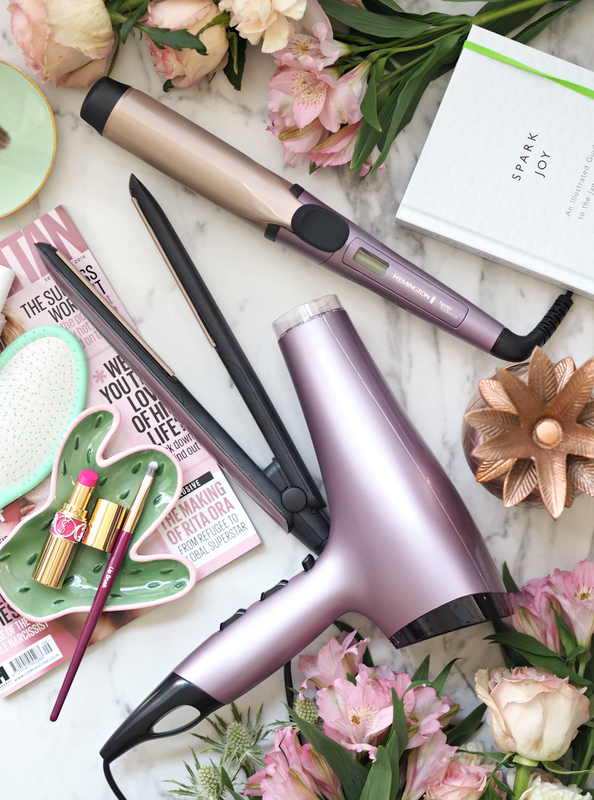 If you fancy updating your look with the help of a new hairdryer, straightener, styling brush, curling wand or tong, then enter the giveaway via the widget below and start dreaming about all those good hair days to come. The Remington Keratin Radiance tools are available now online and in stores nationwide (including Amazon, Boots and Argos,) priced from £29.99. The Hair Woahs Booth will be visiting Metro Centre Newcastle (8th October) and Bluewater Shopping Centre Kent (15th October). Check out the hub here. This is a sponsored post on behalf of Remington; all opinions are my own. SIGN UP TO THE LBQ NEWS BLAST HERE! Honestly, these leave my hair feeling *better* than without! It's some kind of hair magic, but they're so good. Reminded me I need some new hair stuff! There was one lady on the shoot with very curly/frizzy hair and they worked wonders on her! 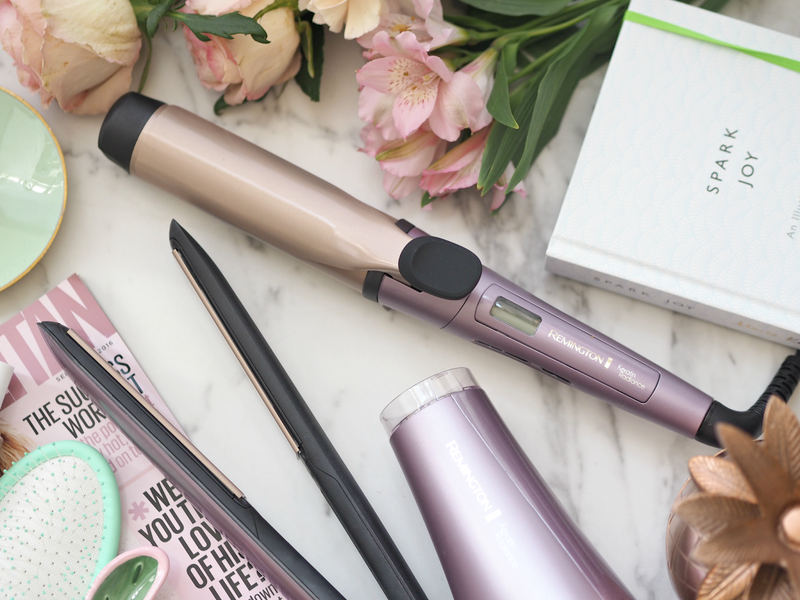 I always use Remington products for hairstyling, so I'd like to try this new version of my favourite tools. They look fabulous, I only use my tools sparingly because I'm afraid of damaging my hair. Looking good! Well done for being part of this and great blog, very informative. Love the curler! These look gorgeous. Lovely colours. My hairdryer is about to give up the ghost so this would be perfect! my dry coloured hair needs lots of TLC. These photos look gorgeous! Just in time that I need a new hair dryer.